Once a week I will try and publish some of my Patterns. These will be reusable templates for everything from building apps to creating widgets. This first week I am going to cover custom elements in forms using Formatters. Be sure to check back weekly for new patterns. Many times customers want custom functionality that goes beyond the standard form. A UI Page is good but it requires the user to leave the form or have the content displayed in a pop-up. Neither of these options are particularly appealing but there is another method which is not widely used, Formatters. While this is a fairly common term thrown around I see few people actually using this method so here I will provide an overview (with code of course) on how to implement various styles of custom formatters. First a quick review of the process. Start by creating a UI Macro, then navigate to the Formatters list and add a new one. Each Formatter can link one UI Macro to one table. You can create new Formatters if you want to link your macro to multiple tables. The Name of the Formatter can be a friendly name of your new element. The Table will be the target table to add the functionality to. The Formatter is your actual UI Macro name with .xml appended to the end. Since it is a “file name” your UI Macro should not contain spaces, it’s best practice to use an underscore in place of spaces. Let’s start off easy with just a simple Formatter, adding an image to a form. If everything worked out you should have an image on your form. This is not really a pattern yet but is still the basic way to get static information on a form. Note: If you ever change the Formatter record (not the underlying UI Macro) you need to re-add it to the form. Now that we have gone through creating a basic Formatter let’s add some real functionality to it. There are three patterns I’d like to walkthrough here: first is a custom Formatter that writes to a field and the second is a dynamic Formatter that displays a list and third is a completely client side Formatter. This pattern creates a formatter that acts like a standard ServiceNow field, reading and writing to a field like normal. Replace u_custom with the name of your new field and incident with whichever form you are working on. You now should have a custom Color Picker element that acts like a ServiceNow field. This pattern demonstrates creating a custom list view based on the current record. Create the Formatter and add it to the form. You should now have an Audit list that will display for Admins. If nothing is showing up make sure auditing is turned on for the table and a change is made. This pattern is the most “wide open” in terms of what can be done. In this example I will recreate the Short Description field but dynamically. One key thing to keep in mind is the “dynamic” part here refers to performing some AJAX operation. These calls should always be asynchronous and not block the User. When the form loads it will dynamically fetch the Short Description and fill it in. Keep in mind this is read only, but you could combine this pattern with the others to create that link. 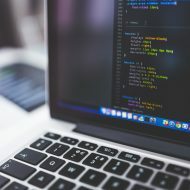 You may also use this technique to load data via Web Service dynamically, creating the effect of having all data from external systems within a ServiceNow form without needing to store it. Almost every custom element derives from these patterns, if I come up with more I will be sure to share and am interested in seeing what everyone else comes up with!